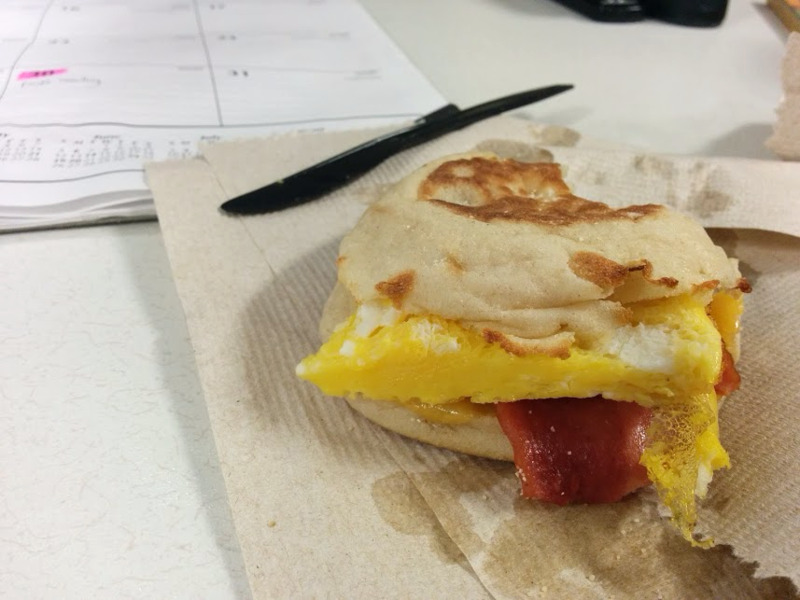 I’ve had four or five of my homemade breakfast sandwiches so far and thought it was time for a quick review. I like them and plan on making them again. They taste good and they’re easy to grab and go. It’s best to let the sandwich thaw overnight in the fridge in order to heat it faster the next day. Although the eggs do seem to leak a bit of water, I haven’t had a soggy sandwich yet. I think toasting the English muffins was key in that. I’ve also discovered that I can cut my eggs in half, horizontally, in order to spread the egg over the entire sandwich. So after it’s thawed I cut the egg and pop everything in the microwave for 30 seconds. It’s perfect. One sandwich keeps me full for a few hours, tiding me over until lunch. I’ll definitely try it with sausage one day but the turkey bacon is delicious, no complaints there. I’m glad I finally made these, bulk cooking may seem daunting but it wasn’t that bad and was well worth the effort. They sound yummy! I’m very impressed you made these.